Download this 8th ed. MLA-formatted Microsoft Word, Google Document, or Pages template. Save it, erase the existing text, and type your text right into the template. Learn how to format a paper in MLA format by reading the contents of the template. The Works Cited page has been formatted with hanging indents. Word doc template to download and type into. Includes tips on how to format a paper in MLA. Last updated Sept. 2016. Google Doc template to save a copy of and type into. This template is "View Only" - not editable. To edit it, save a copy to your Google Drive. Includes tips on how to format a paper in MLA. Last updated March 2018. Pages document template to download and type into. Includes tips on how to format a paper in MLA. Last updated Oct. 2016. Created by the Purdue OWL, this example contains a sample MLA paper that adheres to 8th edition MLA Handbook. This is the behind-the-scenes of MLA. It has an FAQ for troubleshooting those gray-area sources. 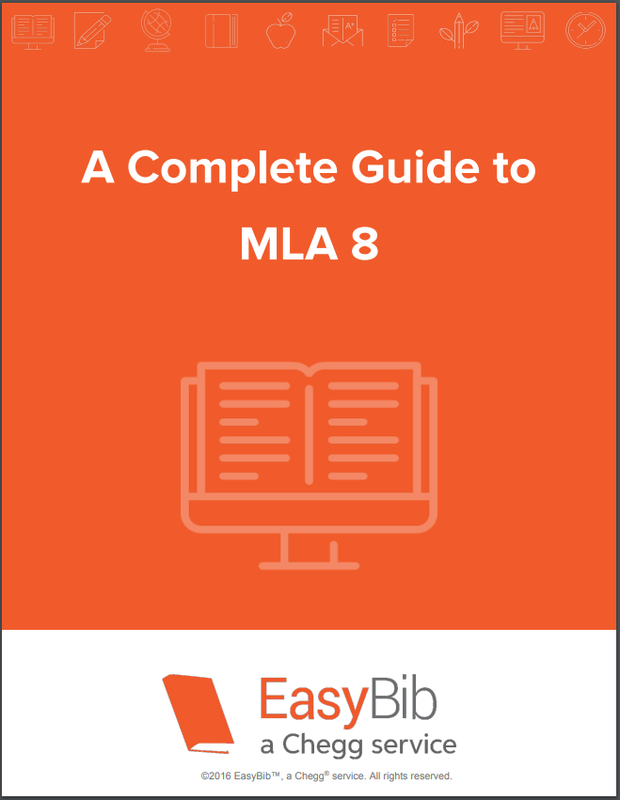 Sample papers, quick guides, and a great search function make this an MLA lifesaver. BOOKMARK IT! Rules, history, and source type examples for citing information in MLA 8 style. A useful complement when a CCC Guide or Purdue OWL doesn't answer you source directly, or if you find those websites too daunting and prefer a PDF. Use the author-page method of in-text citation. Example: Botflies drop down out of trees and burrow into the scalps of unsuspecting hosts (Johnson 216). Or: Johnson warns that botflies drop down out of trees and burrow into the scalps of unsuspecting hosts (216). All sources cited in-text must have corresponding entries on the Works Cited page at the end of your paper. The final page of your paper, called a Works Cited page, lists complete citations for every piece of information you referred to earlier in your paper. Create a Works Cited entry by identifying the core elements (e.g., author, title, date) of a resource. Then, put them together in a consistent manner as laid out by the MLA Practice Template, linked below. 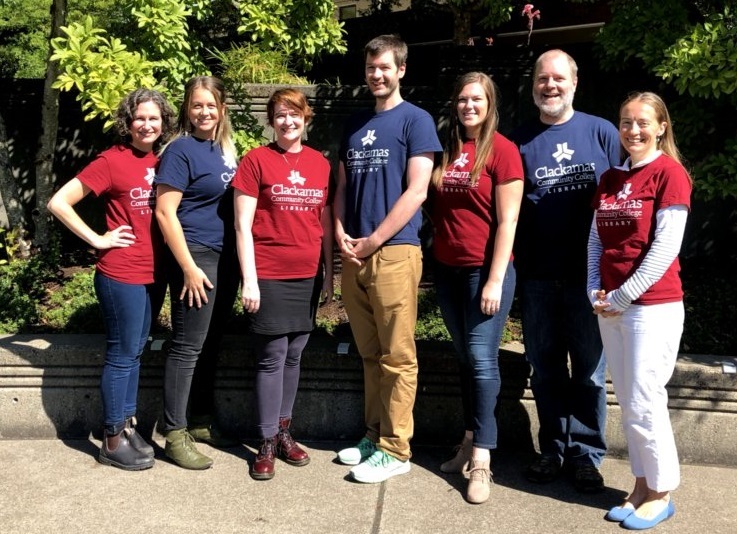 Using the MLA Practice Template, you can build a citation for any type of resource - from YouTube videos to books to tweets to magazine articles! MLA 8 Works Cited examples. Last updated April 2019. Practice template for building Works Cited entries. Created by style.mla.org. Book Modern Language Association. MLA Handbook. 8th ed., Modern Language Association of America, 2016. Article #1 (with DOI) Winham, Donna M. and Andrea M. Hutchins. "Perceptions of Flatulence from Bean Consumption among Adults in 3 Feeding Studies." Nutrition Journal, vol. 10, no. 1, 2011, pp. 128-136. Academic Search Premier, doi:10.1186/1475-2891-10-128. (with URL) Kerns, Nancy. "Twice as Nice?" Whole Dog Journal, vol. 9, no. 6, 2016, p. 2. Academic OneFile, go.galegroup.com/ps/i.do?p=AONE&sw=w&u=clackamasccl&v=2.1&id=GALE%7CA454620726&it=r&asid=500aee1907fe7335ef4f8aeec9dd598f. Website #1 MLA Style Center. “Plagiarism and Academic Dishonesty.” style.mla.org/plagiarism-and-academic-dishonesty. Accessed 04 October 2016. Website #2 Adewunmi, Bim. "Solange’s New Album Contemplates Black Life’s Contradictions." BuzzFeed News Reader, 03 Oct. 2016, www.buzzfeed.com/bimadewunmi/solanges-new-album-contemplates-black-lifes-contradictions/. DOI Numbers and Permanent URLs MLA 8 requires you to include DOI numbers for information sources as a “9. Location” element. DOI stands for digital object identifier. The purpose of a DOI number is to make items more easily retrievable. DOIs are typically assigned to scholarly journal articles, though assigning them is optional so they are not always available. DOI numbers typically look like: 10.1186/s13028 If you cannot find a DOI number, then include a permanent URL to the item. Permanent URL links – also called persistent links or stable URLs - are available in every item’s individual database record. They are not the URLs in the address bar at the top of the webpage. Example: Winham, Donna M. and Andrea M. Hutchins. "Perceptions of Flatulence from Bean Consumption among Adults in 3 Feeding Studies." Nutrition Journal, vol. 10, no. 1, 2011, pp. 128-136. Academic Search Premier, doi:10.1186/1475-2891. 1" margins on all sides. Indent 1st line of paragraphs 1/2" from the left margin. Include a header in the upper-right hand corner that includes your last name followed by a space then page number. MLA papers do not have title pages. Titles should be centered. Do not bold, italicize, underline, or place in quotation marks. Purdue OWL has created two great resources for MLA - "The Basics" and "List of Works Cited page". It should take you ~11 minutes to watch the both. Step by step help in setting up your margins, inserting page numbers, changing the font, and more.